Ready to take your watercolors to the next level? 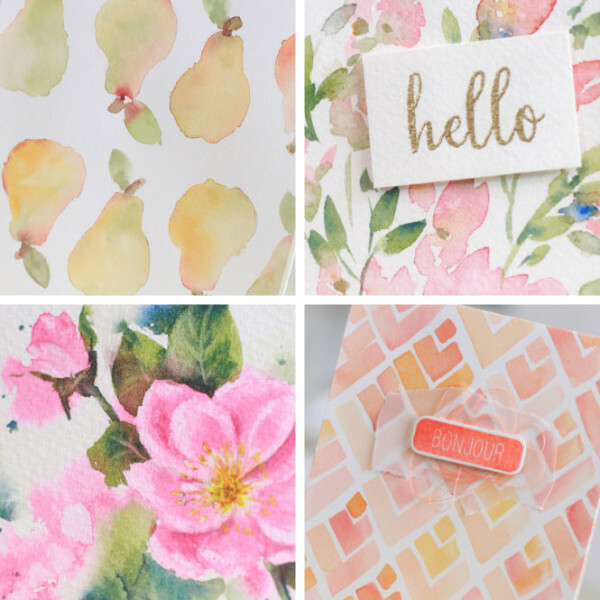 Develop your skills in Online Card Classes’ Watercolor for Card Makers: Intermediate Techniques. Instructor Dawn Woleslagle (of WPlus9) is here to inspire you with new techniques, tips, and ideas for intermediate-level watercolors. You’ll receive in-depth knowledge of the principles behind watercolor techniques, such as when to use different brush types, and how to apply what you learn. As always, we’ll have some fun working those watercolors into cards—you’ll be inspired no matter your card-making style! Our guest artists will lead the way! It all starts here, with Watercolor for Card Makers: Intermediate Techniques. In the video below, our instructor Dawn Woleslagle gives a sneek peek into this class, as well as the supplies you’ll need to participate in class. 30+ videos filled with watercolor instruction and card techniques. PDFs with step-by-step written instructions that you can print out for your craft area. A well-paced, interactive class environment, teaching techniques and providing plenty of ways to work the techniques into your card-making style. Various watercolor brushes. Dawn recommends having both round and flat watercolor brushes. A watercolor medium (i.e. tubes, pan, etc. Choose your favorite or try something new). Stamps with images that are outlines or images that you will paint. NOTE: We also want to encourage you to use the supplies you have on hand. FULL supply lists with all items used are provided in class lessons, in case you’d like to purchase the specific items shown. Also, specific suggested supplies from Dawn are provided to registered students.